Anti-tipper accessory is available here. Best transport chair we have found. It's a wonderful product. Lightweight and easily fits at a restaurant table. 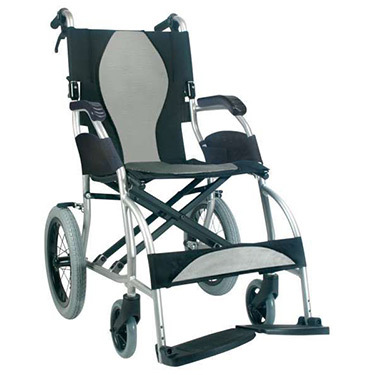 Pros:Light weight, rolls easily, comfortable, travels well. No footrests to come off. Cons:Seat is a little low for a tall adult.